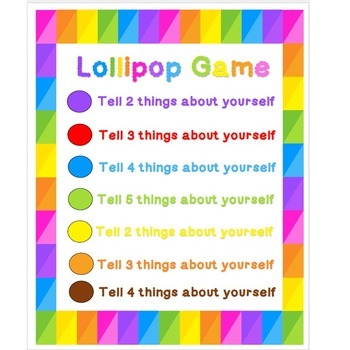 The Lollipop Game! A-Get-to-Know-You Activity! 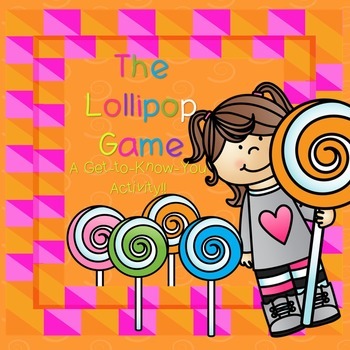 The Lollipop Game is a fan favorite! I love using this on the first day of school as one way to get to know the kids! All you need to do is supply the Tootsie Pops! The kids all pick a lollipop and THEN you display the sign. You don’t want to show them beforehand because they are likely to take a lollipop that won’t require them to say much!